Basketball is a team sport and imparts various life skills like teamwork, hard work, and fitness. The performance of the basketball players depends upon the jersey they are wearing. The high efficiency of the player can be assured only by the comfortable clothing. Let’s find out why custom basketball team jerseys are significant for a team. Basketball is one of the wildest games in the world which require harsh running and jumping skills. For these rigorous activities, the proper uniform is a must. Basketball uniforms are made from a high-quality material which has breathable feature. The harsh game like basketball results in high sweating in the players. So, better airflow and comfort is required in the custom basketball uniforms. Activewear and sportswear are completely different from each other. Both attires are created for those who lead an active lifestyle. Sportswear refers to the clothes made especially for sports purposes while activewear is clothes used as both exercise garments and casual wear. Let’s find out what the sportswear manufacturers say about the differences between activewear and sportswear. Many fabric options are available while designing custom baseball jerseys. As per the game level, it is advised to choose the right baseball fabric to ensure high performance. Air permeable and moisture-free properties are given much importance while selecting a fabric for custom baseball jersey. Let’s find out the features of different fabrics for designing a perfect baseball jersey. Each fabric used in football uniform has unique features and benefits to increase the performance of the player. The selection of fabric depends upon the level of the gameplay. 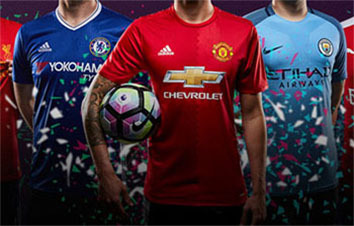 Let’s find out what are the fabrics used by thefootball uniform manufacturers.